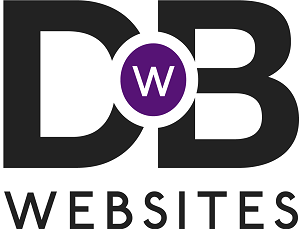 Cryptocurrency Payments in Website Design - Drive By Websites Ltd.
Lower Risk: The blockchain of the Bitcoin network allows you to accept payments without worrying about fraud or chargebacks because all payments are protected end-to-end and mean your money is safe once received. Less Regulation: There are even many benefits to these payment options that many people are not aware of. In many sectors, such as gambling, the same laws don’t apply to cryptocurrency as they do it GBP. This is also the case in investments and some charity based payments. Because security is managed by the blockchain, there’s also no lengthy compliance protocol for your development. Meaning no PCI compliance or security checks. Get Noticed: This technology is new and exciting. Be among the first in your industry to capitalise on it and receive the recognition that comes with that. Aragon (ANT), Basic Attention Token (BAT), Bitcoin Cash (BCH), Blackcoin (BLK), Bancor (BNT), Clams (CLAM), Civic (CVC), Dash (DASH), Decred (DCR), district0x (DNT), Dogecoin (DOGE), Edgeless (EDG), EOS (EOS), Ether Classic (ETC), Ether (ETH), Gnosis (GNO), Golem (GNT), Matchpool (GUP), Komodo (KMD), LBRY Credits (LBC), Litecoin (LTC), Numeraire (NMR), OmiseGo (OMG), Qtum (QTUM), Salt (SALT), Siacoin (SC), Status (SNT), WeTrust (TRST), Wings (WINGS), Zcash (ZEC) and 0x (ZRX). This is a small selection of coins available. Some are specific to industries such as medical, leisure, marketing or charity finance. Cryptocurrencies like Bitcoin require a unique set of skills to integrate with your bespoke website. It’s not as simple as PayPal and there’s not a ‘one size fits all’ solution to offer this option to your customers. We can provide these payment options at an affordable cost. Our bespoke web design service is both cost effective and highly ‘future-proof’. Now is the time to get ahead of the curve. If your business needs to be seen to innovate or even needs access to a new global marketplace, these payment options are for you. If you’re thinking, ‘what features does my website need?’ then start thinking ‘what features do my competitors not have yet?’. Give us a call on 01775 761512. We can provide quotes for many Cryptocurrency payment solutions in the UK.